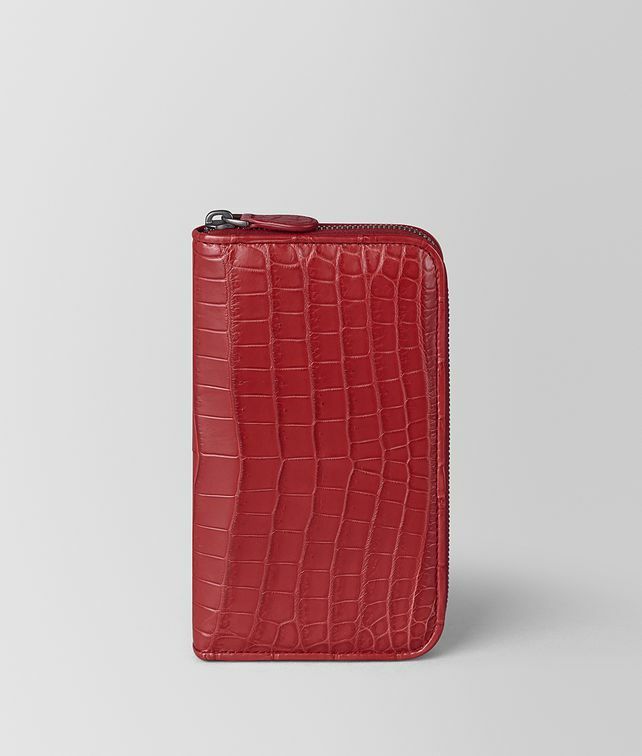 Crafted from crocodile, this slim zip-around wallet is both practical and luxurious. The precious leather features our signature cocco fumé finish, which subtly highlights the natural pattern of the skin. Fitted with eight credit card slots, four compartments for notes and receipts, and a zipped coin pocket. Hardware: Brunito finish Height: 11 cm | 4.3"